Just unpacked one of these stations for display, WOW is it gorgeous! That is a beautiful building! I didn't realize the back was an open interior....reminds me of the playset buildings of Louis Marx and Company. WOW!!! That box looks bigger than the Big Boy's shipping carton!!! When I talked with Mike Wolf about this station last week he was very excited. 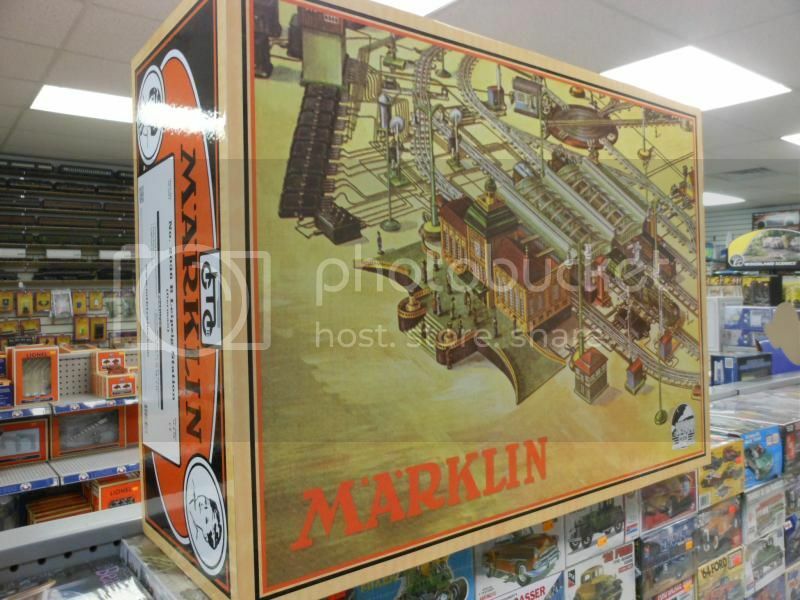 MTH is currently doing some neat projects with Marklin. You'll hear about this station and more when the Mike Wolf episode of Notch 6 releases next week. Mine is being shipped this afternoon, can't wait. I love the artwork on the box, it would look nice hanging on a train room wall. I'm reminded of someone who'd decided to build a HO scale model of the Antwerp, Belgium depot in scale. By the time he was done it took up almost the entire room he'd set aside for his layout. He told me that if he'd truly understood the size of European depots, he'd have never taken on the project. Having travelled in Europe, I've seen several of them (most of which were remodelled or compeltely built new after the war as they were common aim points for bombing raids) and they're much larger than people imagine until they see them in person. Real nice.... but have a hard tine spending a $1000.00. A little bit out of my range. For those who have the opportunity to purchase! Enjoy!!! P51, that Antwerp depot is something else isn't it? 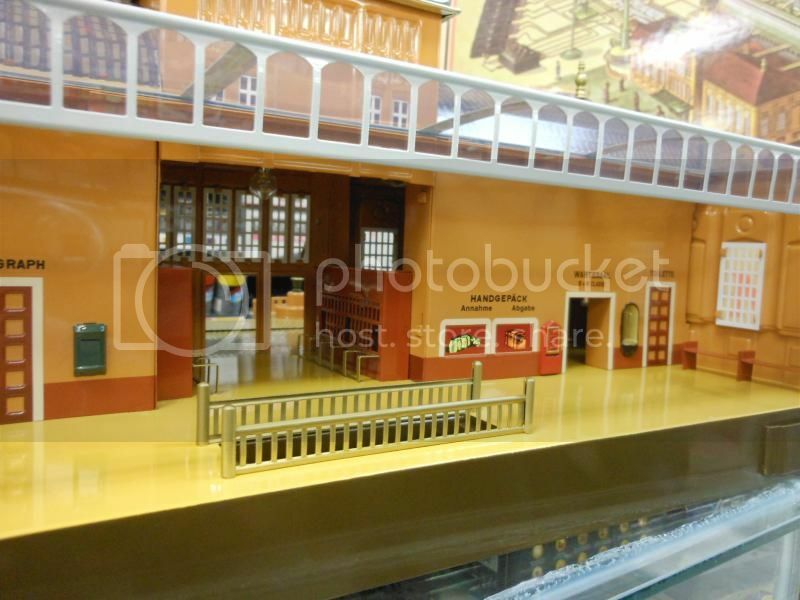 The interior pics of that station make you want to drop everything and start building it. As for the Leipzig model, I'll settle for that box front and frame it. P51, that Antwerp depot is something else isn't it? The interior pics of that station make you want to drop everything and start building it. Yep, I got to walk around inside it once when my brother and I went to movie just down the street from the station. It's an amazing depot, one that had its fair share of remodelling, courtesy of the RAF and USAAF during WW2. It kills me that the Germans consigned all of Europe to having to rebuild itself after 1945. It truly sickens me to think of all the treasures that were lost. The original Antwerp station came very close to being one of them. As for the Leipzig model, I'll settle for that box front and frame it. I agree, I love that art as well. This station would work well as a terminal station with either Bridgeboss or Ace train sheds backed up to it. 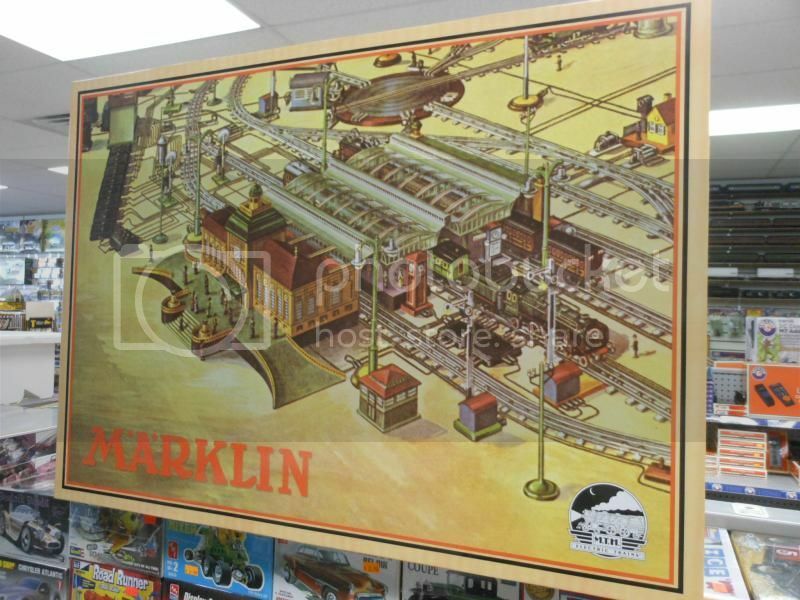 I am not sure Marklin ever did any standard gauge, but they did do Gauge One and certainly O gauge. Remember Lionel's so-called "standard" gauge was the ODDBALL gauge when it was introduced. It was Cowen's blatant, and persistant, hype that got it established. Beautiful building! You gotta admire Mike Wolfe for almost single handedly bringing back standard gauge tinplate to the world stage after it all but disappeared for half a century. It's simply Tin Plate Art, Beautiful to look at, Wonderful to Hold, but if your in the store and drop it, Consider it Sold. 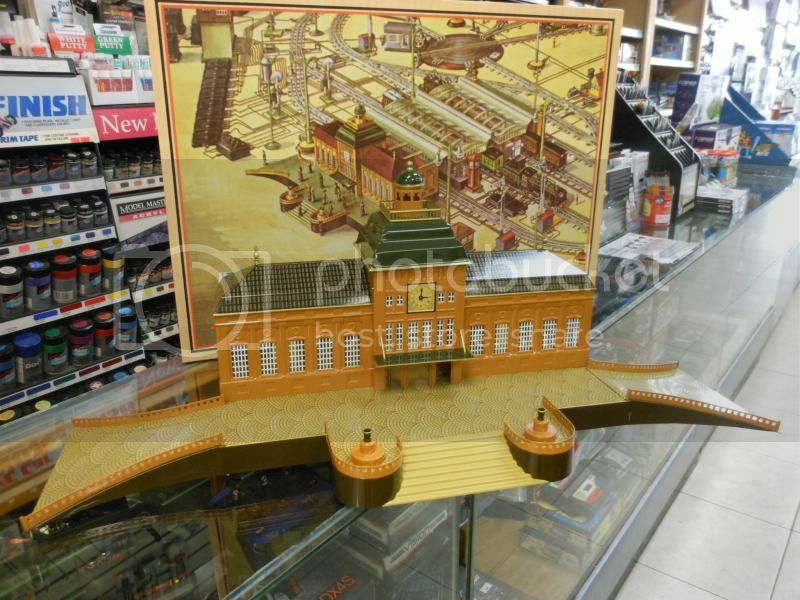 I love looking at these Tin Plate Stations, Bridges, and Signals, and Trains. WOW! Happy Railroading. I have a bunch of "Lionel Classics", "MTH Tinplate Traditions", and LCT standard gauge engines and cars, including the BRUTE and its 4-car passenger set (30" long state cars!). I know awesome when I see it and hold it! 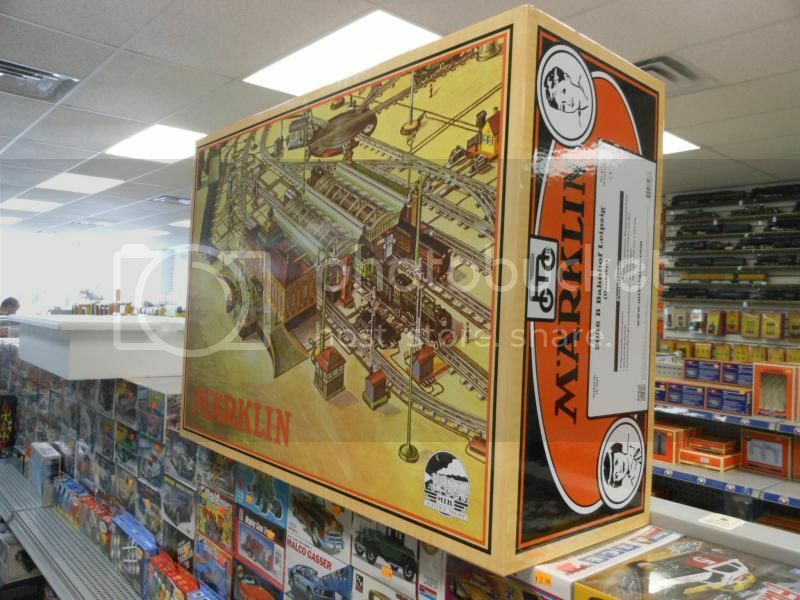 Art, Marklin did make standard gauge trains and they were beautiful. They did not make anywhere near the the quantity of the American makers and therefore they are quite rare. I saw this at Imperial. It is absolutely stunning. MTH hit a home run with this one. Real nice Tin, no doubt about it, sure wish I had room for it on my Christmas layout. We have only one left now! Funny. I clicked on one of the photos up above, then ended up looking at someone's camping pics, a light sabre, a rolex, then I got bored and gave up. That's really splendid. Simply lovely. I drink beer with Norm and have been known to host a confession or two. I am SO tempted to make room for one of these gems on my new combined O-Gauge and Standard Gauge layout. But I keep telling myself we all have limits. That's a lot of S-gauge rolling stock to get to $1K. Although a few steam locomotives or premium passenger sets may help get you there a bit quicker. But it can be done!!! Of course, the other issue is "real estate". I was downstairs this evening packing a few items from my current OGR for-sale listing, and I walked by the box for the Lionel 128 Illuminated Station & Terrace. 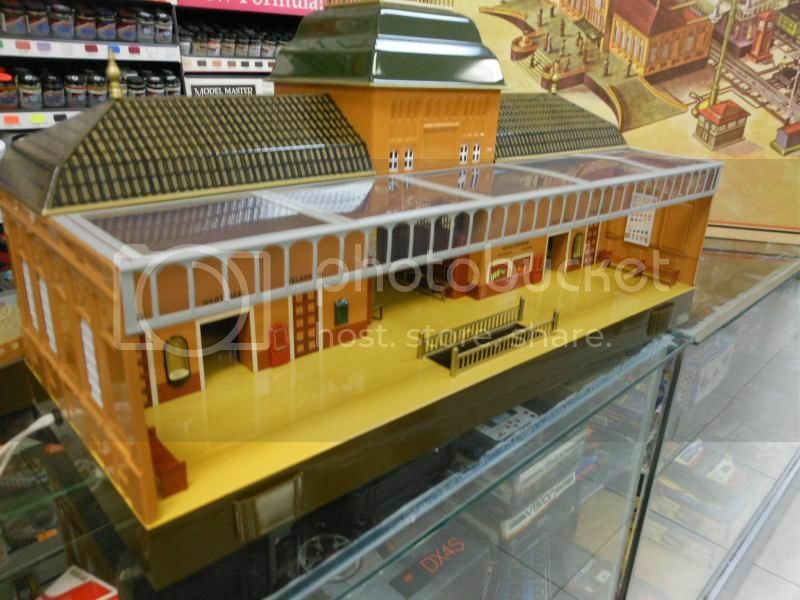 Now THAT box is H-U-G-E as it is, so I can only imagine the size box for the Leipzig Station -- gotta be even larger!!! Short of having a barn-sized empire or club layout, I can't imagine BOTH occupying space on my humble layout. And then there's also the cool stuff that the folks at TW TrainWorx produce -- it's not tinplate, but their stations are fabulous. A thing of beauty with a large footprint and a price tag to match it. The first thing that came to mind is that one thing leads to another in terms of purchasing something like this, or at least for me, it does. Build a layout around it? Put it on a rotating platform so the whole can be seen as a display item? Kudos to Mike and to those who have a practical use for it. For me, too big, too expensive ( like some locomotives) There's nothing to prevent my admiration of it. What is the track spacing sidings? Here's the MTH details. Assuming I have the correct version.